PFOA and PFOS are the two most commonly encountered examples of Per- and Polyfluoroalkyl Substances (PFAS). PFOA and PFOS are abbreviations for the chemicals “perfluorooctanoic acid” (PFOA) and “perfluorooctanesulfonic acid” (PFOS). PFOA and PFOS are the two most commonly encountered examples of Per- and Polyfluoroalkyl Substances (PFAS). PFOA and PFOS are abbreviations for the chemicals “perfluorooctanoic acid” (PFOA) and “perfluorooctanesulfonic acid” (PFOS). While government regulations have been passed to eliminate the use of these contaminants in manufacturing and other business practices due to the health risks they pose, these compounds are recalcitrant – or in layperson’s terms, not readily degradable – and as a result are ubiquitous in the environment. Historically, PFAS compounds were used in various industrial activities and were components in many industrial and consumer products because they exhibit many useful properties. As the United States EPA has indicated in their research findings, they are resistant to heat, water, and oil, and also resist degradation in the environment. You may be familiar with technologies such as Teflon, Goretex, and firefighting foams, which have PFAS compounds incorporated. From clothing to cooking – many have used products containing PFAS in their day-to-day activities. These chemicals are of concern because they have now been detected in groundwater, drinking water, and soils in many of our local communities. This creates a potential exposure pathway to humans and possible health risks. Studies have indicated that PFAS poses potential threats to human health. According to the Agency for Toxic Substances and Disease Registry (ATSDR), a division of the Center for Disease Control (CDC), PFAS can have negative effects on fetal and child development, adult hormones and fertility, high cholesterol, in addition to posing other health risks. As a result, the US EPA has now started requiring the monitoring of drinking water and set lifetime drinking water advisory levels at 70 parts per trillion (ppt) for PFOA and PFOS. The EPA has also indicated that they will set screening levels and site-specific cleanup levels at Superfund sites, which will be used to determine if long-term groundwater remediation or soil remediation is needed. To date, the use of traditional means of groundwater remediation of PFAS plumes has proven difficult. Because they are extremely robust compounds, remediation technologies such as in situ chemical oxidation (ISCO) and various forms of bioremediation have been unable to address these contaminants. The most prevalent method at this time is to use an ex situ pump and treat system with activated carbon filters. However, this process can prove very expensive and challenging due to the extremely wide-area, dilute formation of the most common PFAS plumes. 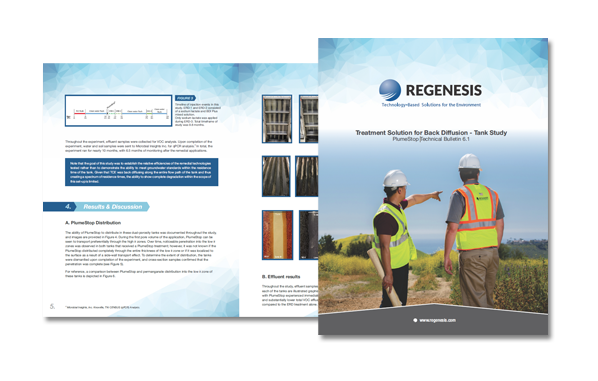 REGENESIS has developed an in situ remediation product called PlumeStop® Liquid Activated Carbon™ that has the potential to solve the challenges faced in the groundwater remediation of PFAS. This technology can be applied under low-pressure injection, which solves the problem of excessive costs incurred with pump and treat systems. Through the use of a proprietary organic polymer dispersion chemistry, the activated carbon achieves high distribution through the subsurface and removes contaminants like PFAS rapidly from groundwater. 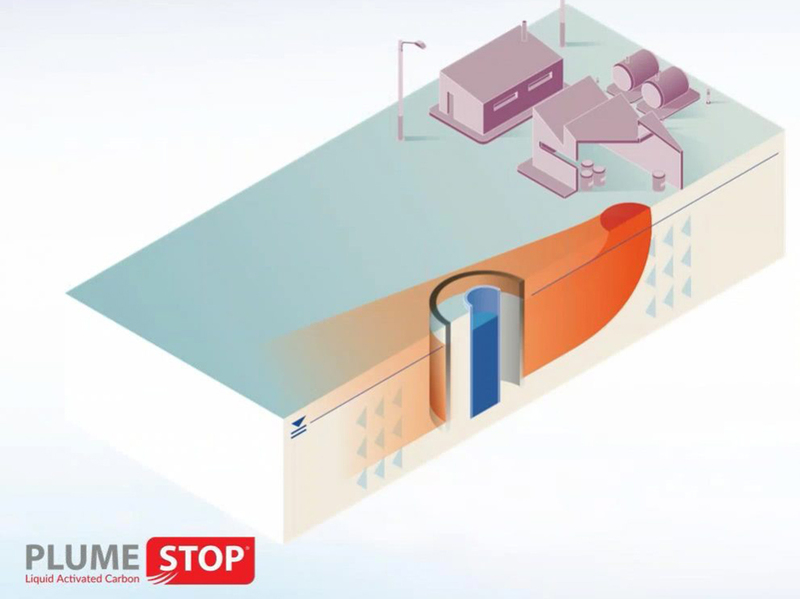 In this application, a single barrier of PlumeStop can be applied to limit plume expansion. 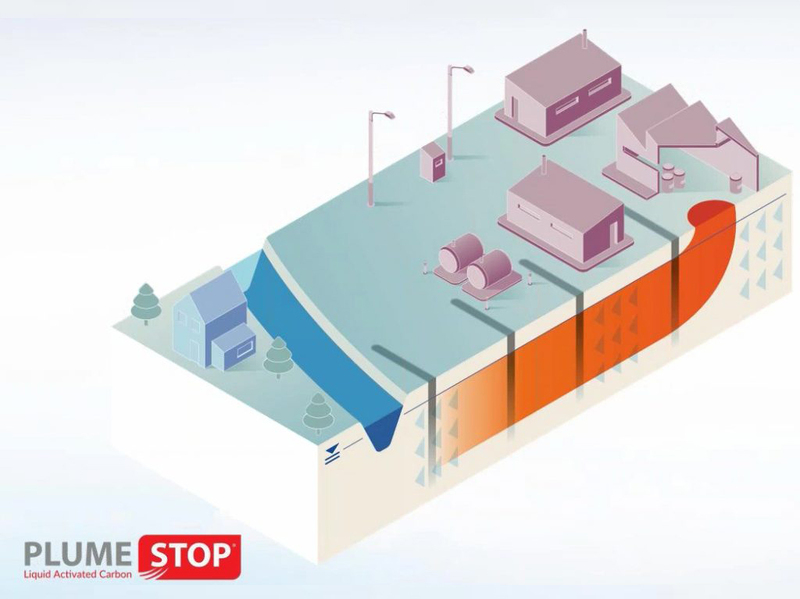 The purpose of the application is to protect a property boundary from a plume entering or exiting a site. It can also protect receptors such as a well or water body and minimize the plume in order to contain liability. PlumeStop can also be injected as a sequence of multiple barriers designed to progressively eliminate the PFAS plume. The benefits of this approach are that it addresses the entire plume and is particularly suited for large plumes and built up areas with restricted access. Because PFAS plumes tend to be extremely large and dilute, remediation professionals will likely need to turn to interim measures like this one to protect local receptors. 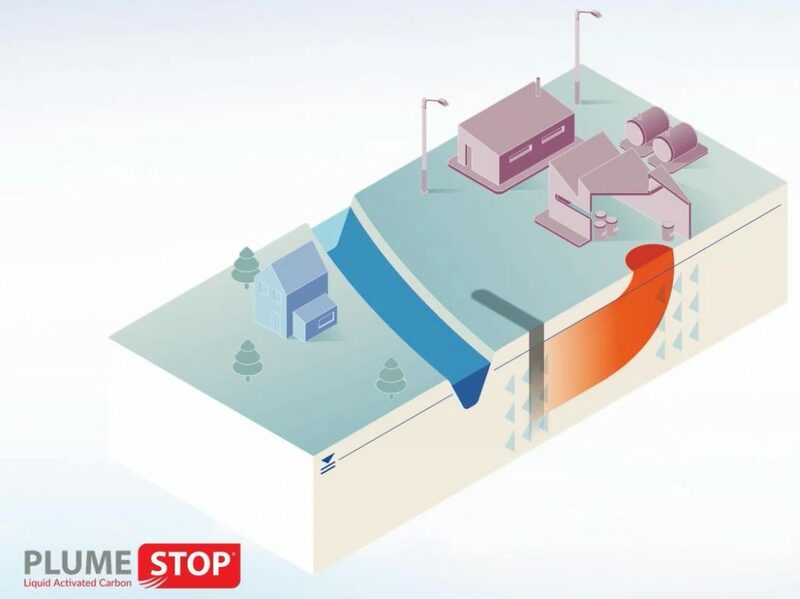 Acting like a “Brita®” filter in the ground, the PlumeStop can be injected around extraction wells to protect them in the event that an entire plume cannot be quickly contained. If you would like to discuss whether PlumeStop might be an effective remediation solution for your contaminated site, please contact us today. 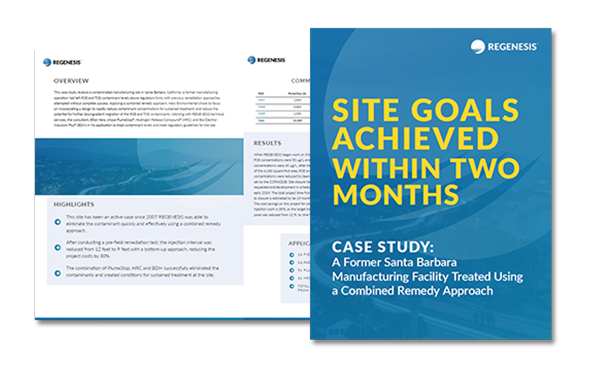 Our team of remediation experts will provide advice and, if you have site characterization data, will also develop a remediation design for your site completely free of charge. 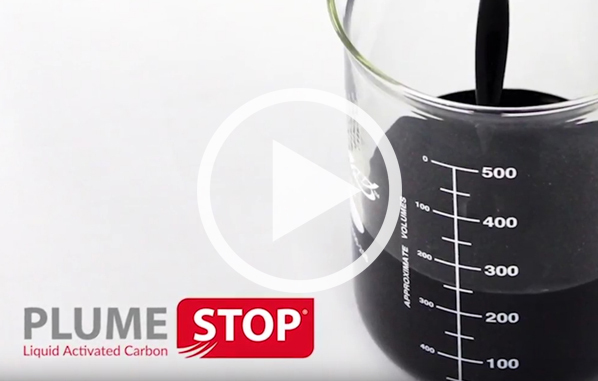 Interested in learning more about PlumeStop and PFAS?